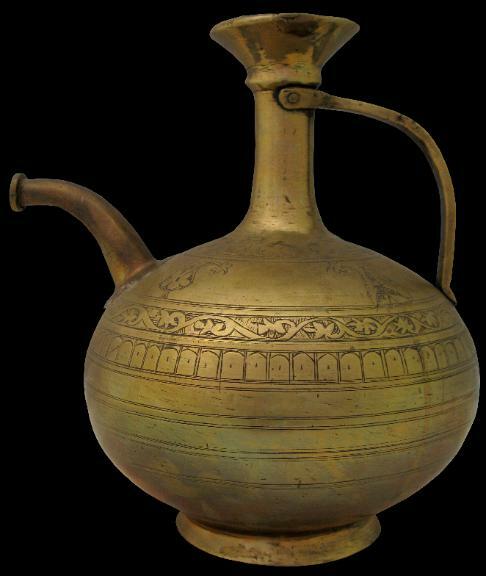 This unusual ewer appears based on early earthenware prototypes used in northern Afghanistan and Central Asia. The body is in the form of a flattened sphere, which sits on a low flared foot. The neck is very thin in comparison with the body but flares at the top. A narrow, well worn handle is attached to the neck and base by means of brass rivets. The spout is an oddity but seems designed to emit drinking water directly into the mouth with the ewer being held aloft. botehs infilled with varying floral motifs. 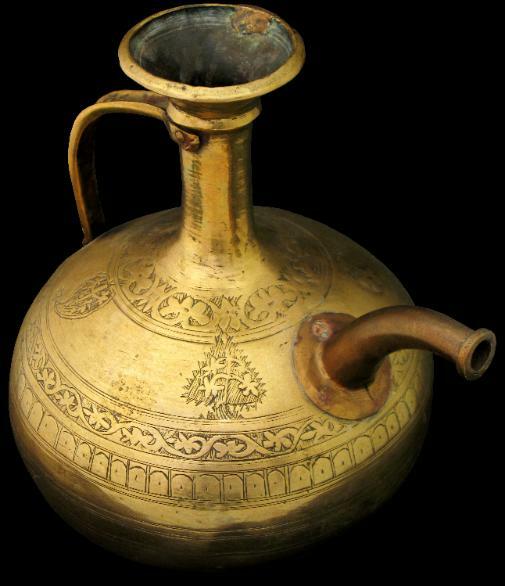 lotas) and water drinking vessels of this form are also known in India. 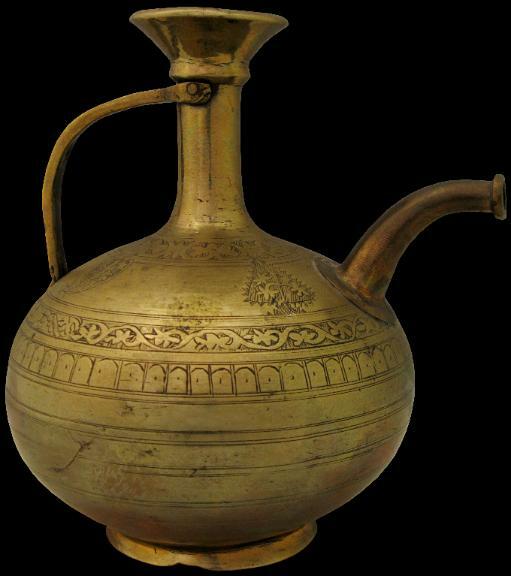 One similar example which was acquired in Lahore, is in a private Indian collection. This example has a similar spout.